Despite the tough guy mentality of hockey players, those who play in the NHL get injured all the time. Actually managing to play all 82 games in a season is impressive, no matter who the player is. With that said, every season has a couple of teams that seem a little more snake bitten by injuries than others. So far, the Bruins are one of those teams. Boston has racked up a lot of injuries so far, here’s everything you need to know about the current injury report. Adam McQuaid suffered a broken fibula and underwent leg surgery to have it repaired. He is expected to miss at least seven more weeks with a return sometime around the winter holidays. The 31-year-old is an important contributor on defense and his absence will hurt an already struggling Bruins’ blue line. In his place, Paul Postma and Rob O’gara have seen increased playing time. Kevan Miller has been battling a knee injury that forced him to miss the team’s 5-4 loss to the Buffalo Sabres. The 29-year-old is still a bottom three defenseman, but his role has increased due to the departure of Colin Miller in the offseason. His injury is not expected to be severe and he even has a chance to suit up tonight for the Bruins showdown against the San Jose Sharks at TD Garden. He is officially a game-time decision. David Krejci, one of the Bruins’ most important offensive players, has been ruled out for the Bruins next two games against the San Jose Sharks and Los Angeles Kings with an upper body injury. The severity of the injury is unknown, he will miss both games this weekend, however he could be out even longer as he is currently be labeled as “week-to-week”. With Krejci out of the lineup, the Bruins will be giving David Backes a much larger role as the teams second line center. The Bruins starting goaltender has missed the last few games with a concussion. 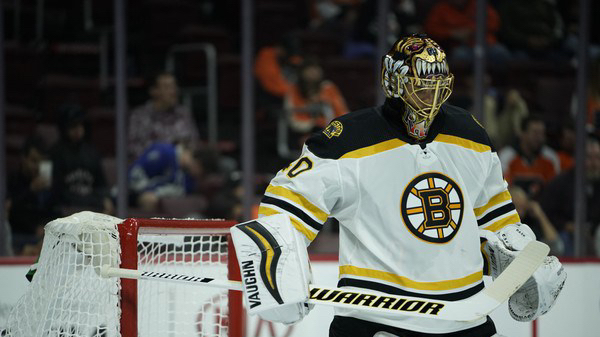 Tuukka Rask missed time, but is expected to return to the team as early as tonight against the Sharks. The team’s backup Anton Khudobin has started in place of the concussed Rask and has looked pretty solid. He struggled in the team’s 5-4 overtime loss to the Buffalo Sabres, but look poised in matchups against Arizona and Vancouver. Boston’s third line center suffered a groin injury that will cause him to miss four to six weeks. Look for him to return in early to mid December. Ryan Spooner was struggling even before his injury. He has yet to score a goal this season and only has a single assist. He was placed on IR to make a roster spot for David Backes who has recently returned to the team after a having virus. The third injured center on the team’s injury report in Noel Acciari who suffered a broken index finger in the season opener. Acciari was originally slated to miss four to six weeks, projecting a return around the time of Thanksgiving. He was placed on IR and Sean Kurlay has seen playing time as a result. Patrice Bergeron has been battling a lower-body injury ever since the season began. He has only played against Vancouver and Buffalo and looks to miss additional time. Bergeron has yet to practice this week, making his likely hood of playing either game this weekend doubtful. He is the team’s best center and they need him to return soon if they want to keep up the high offensive production.